SPRING GROVE, Ill. (WLS) -- A Lake County man faces drug charges after sheriff's deputies raided his home. 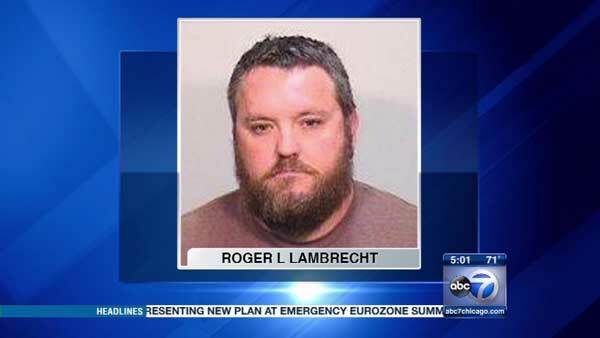 Roger L. Lambrecht, 43, lives in the 31000-block of Pineview Boulevard in unincorporated Lake County, near Spring Grove. Members of Lake County's Gang Task Force and McHenry County's Narcotics Task Force executed a warrant at his home on Thursday. Officers said they found 54 pounds of marijuana and more than $230,000 cash in his home during the raid. Lambrecht was charged with possession of cannabis over 5,000 grams and intent to deliver. He is being held on $150,000 bond.